Universitas Sebelas Maret (UNS) welcomes all students from around the globe. Over hundreds of international students had finished their studies here, and we are excited to invite you to join us. As of April 2017, there are 94 overseas students from 32 countries studying at UNS. Studying in Indonesia will give a rewarding experience; for its cultural and ethnic diversity, heritage, and supportive environment. Currently, there are 4 scholarship schemes available for overseas students wishing to study in UNS. Please note that each scheme has its own requirements and deadline, which may be earlier than UNS application deadline. For general admission requirements, kindly refer to the Admissions page. Darmasiswa is a scholarship program offered to overseas students from countries that have diplomatic relationship with Indonesia to study Indonesian language, art and culture. Participants may choose one of selected universities located in different cities in Indonesia. This program is organized by the Ministry of Education and Culture (MoEC) in cooperation with the Ministry of Foreign Affairs (MoFA). Prospective students interested at Universitas Sebelas Maret through this scholarship are eligible to apply for Bahasa Indonesia major only. Kemitraan Negara Berkembang (KNB) is a scholarship program offered for potential students who come from developing countries to study Masters at one of 16 prominent universities in Indonesia for 3 years. 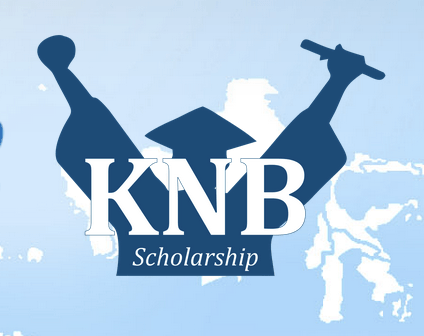 The KNB scholarship provides the opportunity for potential students in developing countries to develop their knowledge and competencies that will subsequently enhance their chances to fulfill those roles back in their home countries. Students will experience life in one of the most culturally diverse nation, while studying and earning a master degree. Officially launched in 2006 by the Directorate General of Higher Education of the Republic of Indonesia, this program has been attracting a significant number of applicants. As of 2015, 896 students from 64 countries had been awarded this scholarship. Visit http://knb.ristekdikti.go.id/ for detailed requirements and application procedures. Universitas Sebelas Maret (UNS) offers full tuition fee scholarship for outstanding international students seeking undergraduate degree. Students are eligible to apply for this scholarship in any major, except undergraduate Medical Doctor program. Overseas students who hold Indonesian citizenship are also ineligible. There are additional requirements that need to be fulfilled by the applicants. The duration of this scholarship is 4 years. Universitas Sebelas Maret (UNS) offers full tuition fee scholarship for outstanding international students seeking master’s degree. Since the courses are conducted in Bahasa Indonesia, an Indonesian language proficiency proof is required, either through Indonesian language course attendance certificates or Test of Indonesian Language for Non-Native Speakers scores. All master’s programs are eligible except for Medical Sciences. The duration of this scholarship is 2 years. Kindly access http://io.uns.ac.id/uns-masters-scholarships-international-students for further instructions and requirements.